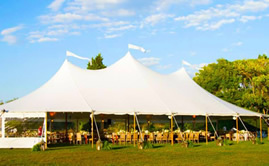 If rustic elegance is what you are seeking for your outdoor wedding or corporate gathering, Miller's Rentals, Inc. now features sail cloth tents in sizes. 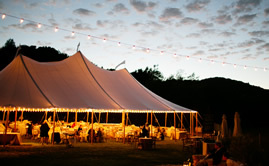 These tents, with their beautiful streamlined design, are the perfect complement to events at farms, local wineries, historic estates as well as the beach or even your own backyard. 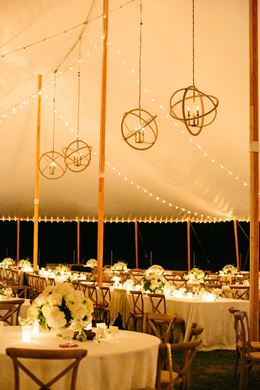 The sweeping, sculpted silhouettes and unique details, such as wooden center poles and side poles, are the perfect blank canvas for you to design the most impressive event. The translucency of the sailcloth fabric allows natural light to enhance daytime events and glows exceptionally when illuminated for evening. The possibilities are truly endless.